diana's mother Frances Shand-kydd. Diana's mother, Frances Shand Kydd, leaves St Mary's hospital with Diana's sister Lady Sarah McCorquodale following the birth of Prince William on June 21, 1982 in London.. Wallpaper and background images in the Princess Diana club tagged: lady diana. 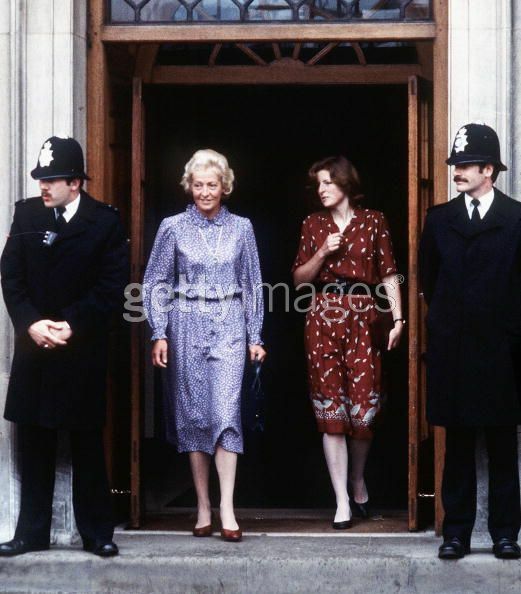 Diana's mother, Frances Shand Kydd, leaves St Mary's hospital with Diana's sister Lady Sarah McCorquodale following the birth of Prince William on June 21, 1982 in London. This Princess Diana photo might contain straat, stad scène, stedelijke omgeving, stad straatbeeld, and stedelijke instellen.